As he states in the video description, Tom won't be releasing the game for public consumption as he doesn't own the IP; and Nintendo would most likely release the hounds if he did. We can't say we blame him to be honest. With that in mind, we'll have to make do with the video above which shows a pretty competent little Pokemon clone, complete with a randomly generated map. Other features include over 25 Pokestops, a fully functioning Pokedex and full audio. 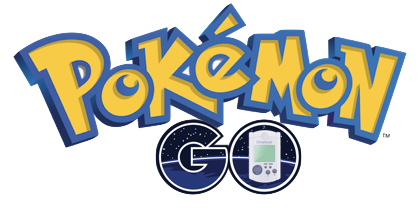 "At this stage I've decided not to release Pokemon Go VMU publicly. When I started this project I had no idea Nintendo were so strict on this kind of thing, unlike a company like SEGA who couldn't care less when it comes to fan art. Given it's pretty clear now what their stance is on fan games, I think this is the right decision. "It's not all a loss though, I have fully functioning map generation, character movement and collision detection code written which I can use in a number of original games I have planned. I already used the timing based mini game concept in my last game Zombie: Player vs Monster. "I would say the game is 90% complete in it's current state. The only thing I need to do is add more Pokemon (there are about 70 in the game at this stage). Some are just impossible to draw with the limited pixels available, especially in the map grid, but to a lesser extent in the gym battles as well. I'd probably like to tinker with the sound a bit more if I ever release it as well." For more of Tom's original VMU games, check out his Instagram account here. Also have a read of our interview with the man himself here. It looks really good. Keep up the good work Tom. Ps: It would be really cool if Tom skills would be used by dreamcast indie developers to actually use the Vmu in their games.